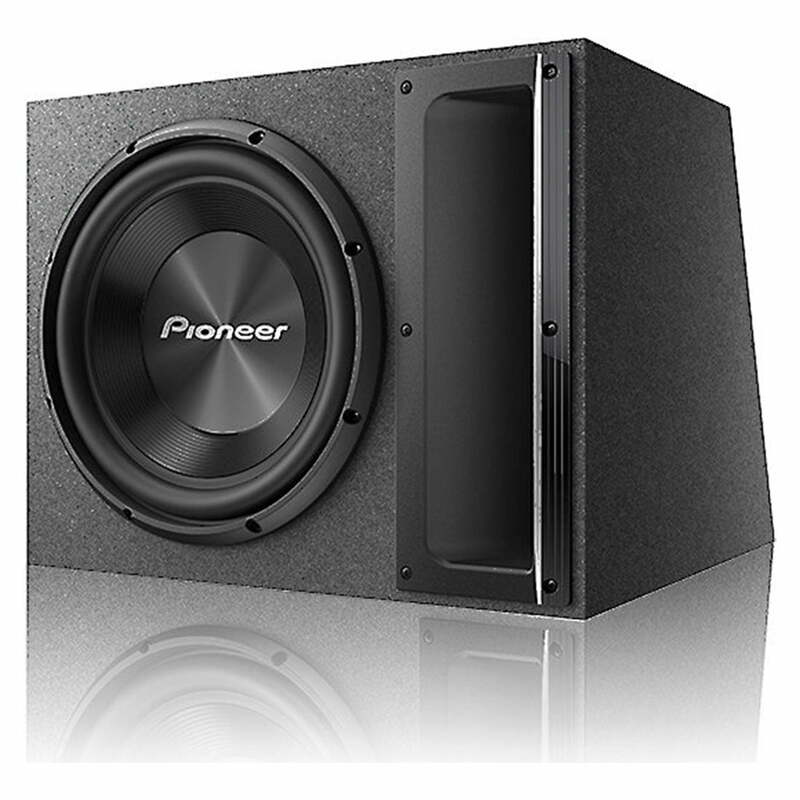 Pioneer TS-A120B A-series sound design purposely matches the subwoofer and full-range loudspeakers to provide seamless and smooth sound characteristics with dynamic, high impact bass that lets you hear and feel the music. 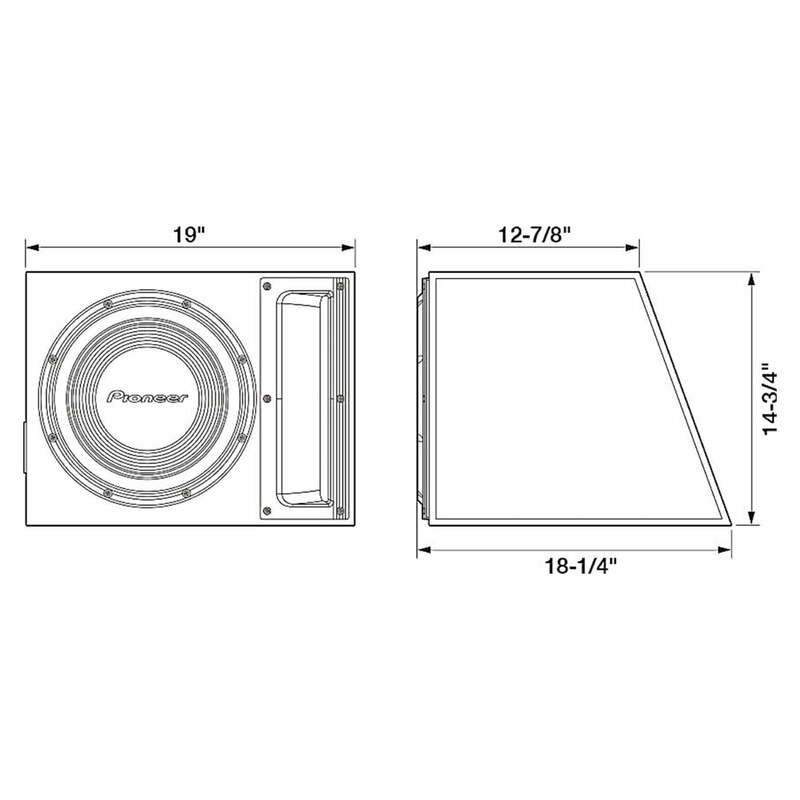 Pioneer TS-A120B is a pre-loaded bass-reflex (ported) subwoofer enclosure. It’s passive design offers maximum flexibility in amplifier matching and in the wide variety of vehicles it can be used in. Pioneer TS-A120B CarSoundFit app is actually a car sound simulator for experiencing in-car sound with your own smartphone. 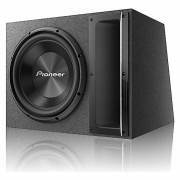 Hear the difference between original car speakers and different Pioneer audio upgrades: convince yourself of the level of quality Pioneer can offer for your vehicle. For a virtual listening demonstration of these and many other Pioneer car speakers, download the free Pioneer CarSoundFit app. The TS-A120B features a single 12″ driver made with a glass fiber and mica interlaced, injection molded polypropylene (IMPP) cone with butyl rubber surround, mounted in a matched ported enclosure. Careful engineering of the entire motor structure and suspension system gives balanced and linear motion of the cone, both forward and reverse directions, maintaining a high level of linearity, even during high output/high excursion transients. 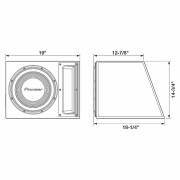 The TS-A120B is part of Pioneer’s A-series speakers, purposely designed to match A-series full-range speakers, providing smooth and seamless sound characteristics with dynamic, high-impact bass.